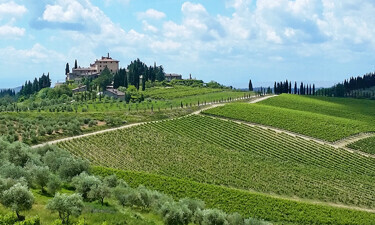 Here’s a morning with a difference as we learn the secrets of wine making in Tuscany, and we too become winemakers for a day. 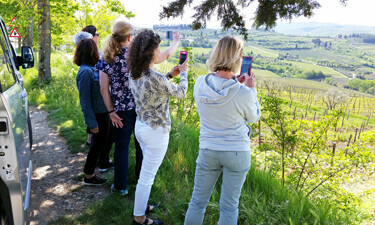 Then the afternoon is dedicated to a leisurely drive through the Chianti region, with stops for photos and contemplation of the iconic Tuscan countryside. 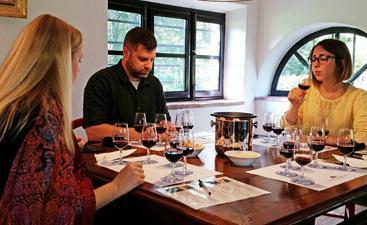 Our wine making in Tuscany class starts under the patient guidance of the winery’s resident wine maker, and by the way, you don’t have to be an expert. The first thing we’ll learn is how to distinguish the characteristics of five single varietal wines taken directly from the barrel. How? Well smelling and tasting them of course! 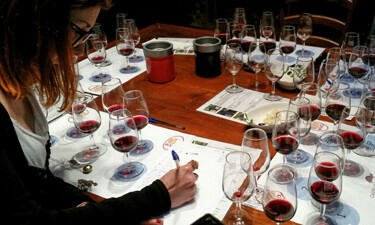 We then proceed with blendings of each varietal in varying percentages, tasting the sum of our efforts each time. Sounds like fun already huh? Each blend will give us different results, of which we make a note. The winemaker will constantly advise us how to get closer to the result we want to obtain, sweeter, dryer, fruitier and so on. When we’ve reached a blend that appeals to us; and the perfect blend is entirely our decision, the formula is noted and 12, 24 or 36 bottles (see below) will be prepared according to our formula. 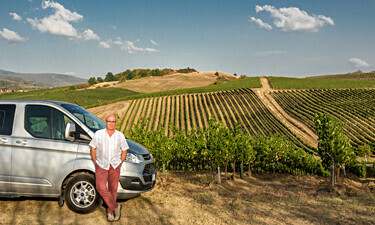 Our wine will then be stored in the cellar for a period of ageing before shipment. In the meantime you can design you own personalized label and supply it in digital form via email. The label will be printed and attached to your bottles before delivery. Your wine will then be shipped directly to your chosen address. Please Note: 12, 24 or 36 bottles are per session not per person. For example: two participants is six bottles each making a total of twelve. 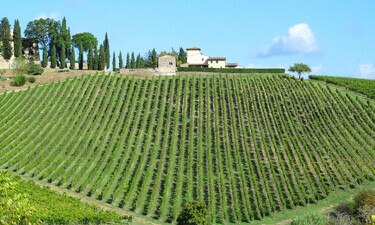 You may if you wish, purchase extra bottles of your blend, or other wines from the winery. Lunch is at your leisure. 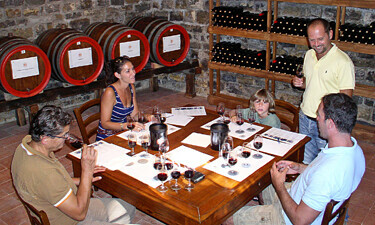 The winery offers a simple lunch based on cheese and cold cuts, or you can go for a full Tuscan feast in the winery’s 18th century Villa. Alternatively, I can give suggestions in the nearby towns of Panzano and Volpaia. (Lunch not included in fee). Optional: lunch at the winery which includes: appetizers, pasta course, main course & side dish, dessert and wine with each course, €35 per person.